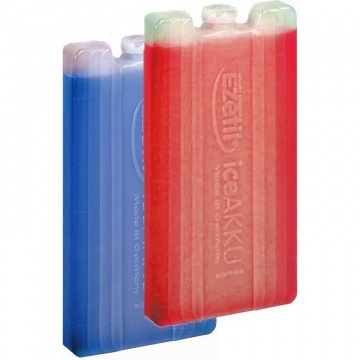 220 gram cool freeze gel ice pack block. 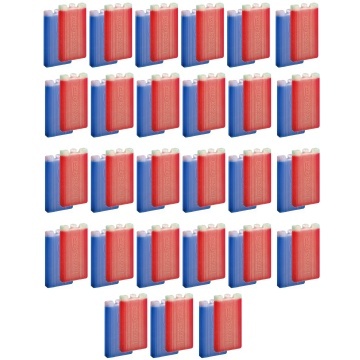 54 single ice pack blocks, 27 blue and 27 red. Moulded clear polythene casing filled with special red or blue non toxic gel. Colours useful to time ice pack batches. Reusable, simply freeze to reset. Maximum cold and freeze retention. Weight: 220g approx per block. Ideal for cool boxes and cool bags. Hi quality, made in Germany. Length 160mm, 16cm, 6 1/4 inches. Width 75mm, 7.5cm, 3 inches. Depth 20mm, 2cm, 3/4 inches.